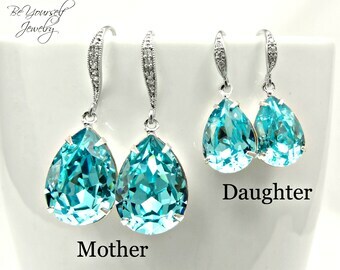 Delicate teal blue sea green teardrop jewelry made with the gorgeous Swarovski crystal Light Turquoise stones. Perfect for brides, bridesmaids and even flower girls! 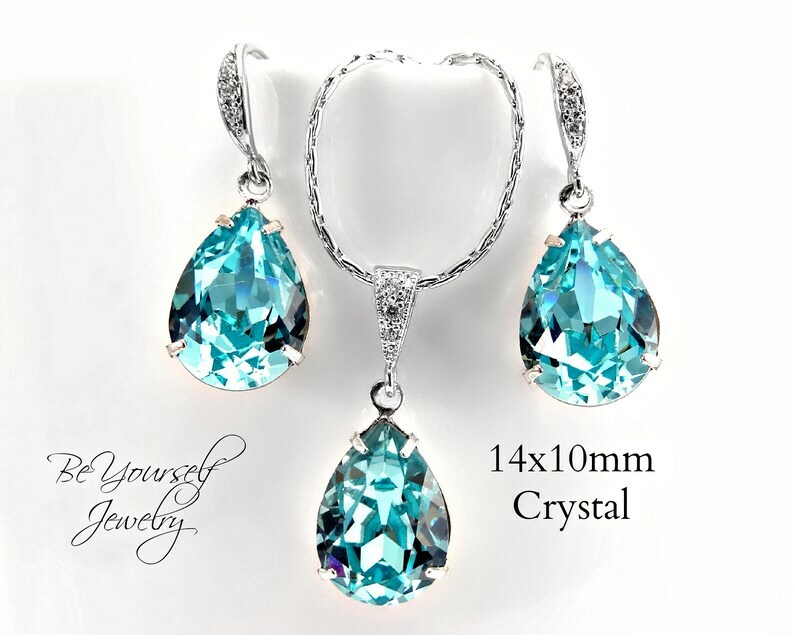 These dazzling crystal fancy stones are designed with incredible facets that produce the famous Swarovski sparkle. Pictures does not make them justice. You will simply fall in love with these beauties! - The necklace chain measures 16 inches and comes with a 2 inches extension. Please note we only buy from official suppliers of Swarovski components for our work. Also available in several different colors – please refer to the color chart. Contact us if you would like to order multiple items for your bridesmaids. We are very easy to be reached and usually reply to our messages right away. Special discounts are available for multiple orders. Don't forget to read our FAQ below for more information.